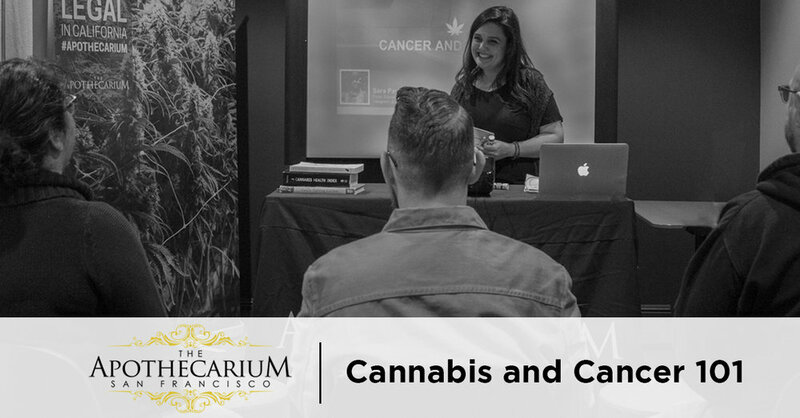 Come learn about the basics of cannabis use before, during and after treatment - at The Apothecarium - the dispensary the SF Chronicle called “an international model.” Get your questions answered by the dispensary’s Public Education Officer, Sara Payan, who is also a survivor of stage III colon cancer. Join us in a comfortable environment that Architectural Digest named the best designed dispensary in nation. Thursday, May 24th, 5pm @ 2029 Market St.